Putting the squeeze on another holiday, 2018 Topps GPK Wacky Packages Easter mixes two entertainment licenses in one online-only release. 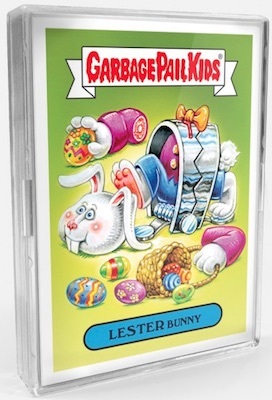 Selling directly through Topps' online store, the 2018 Topps GPK Wacky Packages Easter checklist includes a seven-card sticker set for $29.99. 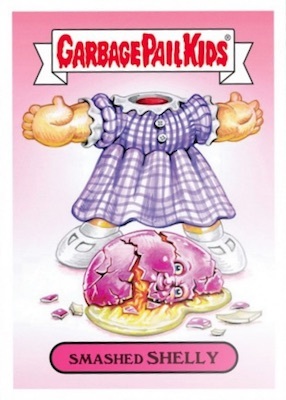 The first four cards feature the classic Garbage Pail Kids style, but with a nod to Easter. Although these cards only occupy the first two spots in the set, there are two different titles for each character image (an "a" and a "b" version), bringing the total GPK number to four. Filling the other half of the lineup, the Wacky Packages cards riff on classic Easter products. 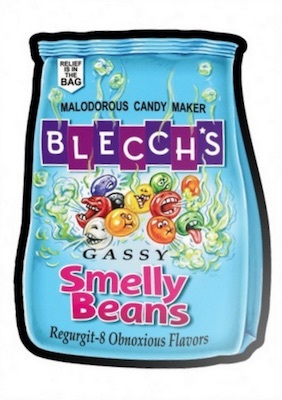 This includes Blecch's Smelly Beans instead of Brach's Jelly Beans and Madbury Meanie Eggs in place of Cadbury Mini Eggs. 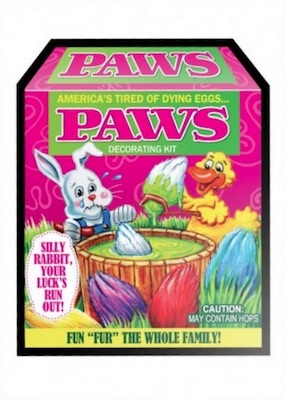 There's also the well-known Paas egg decorating kit, which is covered via the Paws Decorating Kit sticker. The set is available for one week before sales are ended, cards are printed and shipped, and the final print run is announced. 5 images and 7 total cards. Shop for cards on Topps. 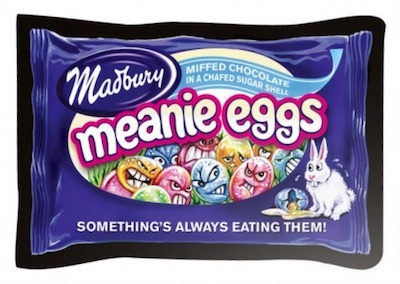 WACKY PACKAGES SERIES #3 - CADBULLY EASTER EGG - MINT!